We are specialized in transport of passengers using vehicles manufactured by the Mercedes brand: coaches, buses and limousines. Our offer is dedicated to all institutions, organizations and individuals who need a comfortable and safe transportation. We are very flexible, we always try to meet all customer requirements related to our services. 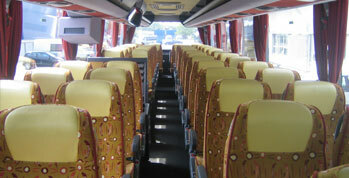 For this reason, we offer the single transport, as well as a regular line (e.g. we deliver the company’s employees to work) and occasional (e.g. package tours). Our clients are companies (we deliver for work, business meetings, banquets, integration meetings), school (helping in the organization of local and international trips), churches (take part in pilgrimages to holy places), sports clubs (transport to competitions and other sporting events), travel agencies (we support domestic and international trips and vacation), as well as government organizations (Polish and foreign), actors and singers of world fame. We have international licenses for all countries, Certificate of Professional Competence and the Certificate of Warsaw Chamber of Tourism. Our drivers speak foreign languages, so traveling with us is very comfortable for all foreigners. 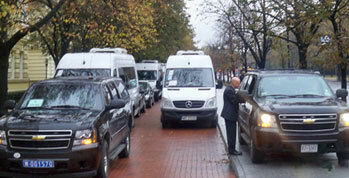 Our transport services are at a very high quality level. We focus on quality development all the time. We invite you to use our services!